Should Academic Programs Focus More on Intrapreneurship? With the rise in academic programs around the country focusing on entrepreneurship over the last decade, there has been an increased focus on entrepreneurial courses, certifications, and programs. The topic of entrepreneurship has evolved more as an interdisciplinary concept and perhaps it has become more incorporated with every major discipline within the academy now. It is fair to say that within the biomedical sciences, bioengineering and engineering worlds, Ph.D. students and Master’s students have become more accustomed to the topic of entrepreneurship more than ever. But lets’ face it, everyone does not want to start their own business, nor are they interested in the mechanics of creating a new venture. Which leads me to the topic should we have more focus on understanding intrapreneurship? Tietz and Parker (2012) profess that “entrepreneurial individuals within corporations form an important source of entrepreneurial activity” (p.1). They add that this group of individuals have the mindset to act upon their entrepreneurial ambitions or to continue regular employment (p.1). However, if these individuals decide to stay with their employers they may contribute from a mindset of intrapreneurs. Parker (2011) professes about the concept of intrapreneurship is “the practice of developing a new venture within an existing organization, to exploit a new opportunity and create economic value whereas entrepreneurship involves developing a new venture outside an existing organization” (p.19). Parker (2011) emphasizes that “there is evidence that intrapreneurship helps managers to renew and revitalize their businesses, to innovate, and to enhance their overall business performance” (p.19). Antoncic and Hisrich (2001) add that intrapreneurship is very important since it focuses on an existing role that a person has within as a given company. The focus is viewed as being beneficial for revitalization and performance of corporations, as well as for small and medium-sized enterprises (p. 495). Antoncic and Hisrich also argue that conceptually there are four distinct dimensions of intrapreneurship. Those dimensions may be new-business–venturing, innovativeness, self-renewal emphasizing strategy reformulation, and proactiveness. This is only a taste of the discussion points. Intrapreneurship is a very valuable concept and should be investigated and developed more conceptually. Arguably, both intrapreneurship and entrepreneurship may complement each other. Antoncic, B., & Hisrich, R. D. (2001). Intrapreneurship: Construct refinement and cross-cultural validation. Journal of Business Venturing, 16(5), 495-527. Parker, S. C. (2011). 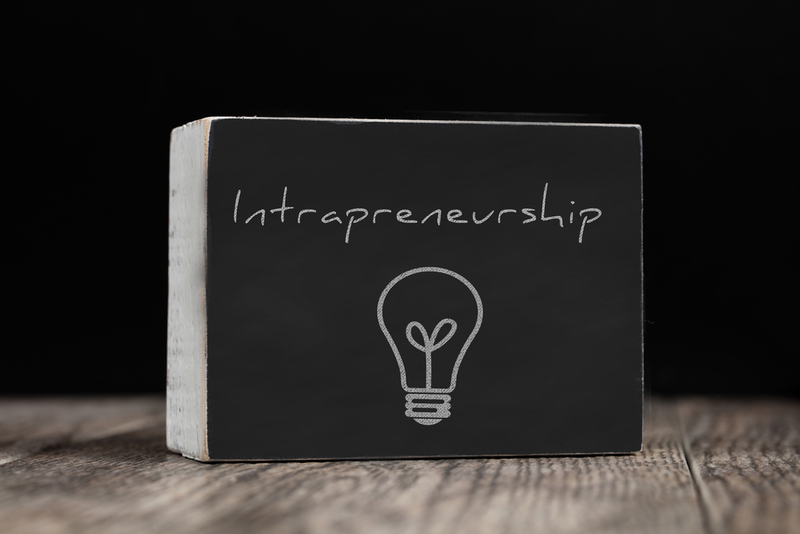 Intrapreneurship or entrepreneurship? Journal of Business Venturing, 26(1), 19-34. Tietz, M. A., & Parker, S. C. (2012). How Do Intrapreneurs and Entrepreneurs Differ in Their Motivation to Start a New Venture? Frontiers of Entrepreneurship Research, 32(4), 4.